Matt and Katherine Courtier, from Southend-on-Sea, told us how Over The Wall helped their family after their son was diagnosed with Ulcerative Colitis. Tests revealed Finely was very anaemic and was suffering from Ulcerative Colitis – a form of inflammatory bowel disease (IBD) that causes inflammation of the intestines, similar to Crohn’s disease. Finley was transferred to Addenbrooke Hospital in Cambridge and over the next eighteen months he was in and out of hospital with flare ups. Then a nurse at the hospital told Katherine about Over the Wall and its therapeutic recreation camps for siblings of children facing serious health challenges. She got in touch and, in April 2017, Fred and Charlotte were invited to go on a four-night residential Sibling Camp in Dorset. “Fred was a bit hesitant but after meeting young people in a similar situation he was reassured. Charlotte embraced it enthusiastically from the word go. In August 2018, Over the Wall invited the family to a Crohn’s and Colitis family camp at their country location in Blindfold, Dorset. In fact, the family were so appreciative of everything Over The Wall has done for them that Matt approached his employer who offered a significant donation through St James’s Place Charitable Foundation, which has enabled them to employ a trained nurse for three years. And this summer, Katherine is planning to volunteer as an Over the Wall health provider. “It will be my pleasure to do something for them in return,” she says. Funds raised in The Candis Big Give will be used to run three sibling camps across the UK. These are run specifically to help siblings of children with serious or life-limiting illness to build their confidence and self-esteem, increase resilience and have fun enjoying new challenges and activities. Siblings also get a break from the pressures and constraints of life at home and have the opportunity to meet other children who face the same challenges. In the UK, it is estimated that 50,000 children and young people live with a serious illness affecting their quality of life which can become a barrier for future growth and development. Residential camps are free and are designed to be fun, memorable and empower young people in a physically and mentally safe environment. Over The Wall was founded in 1999, inspired by camps run in the US – the brainchild of the late actor and philanthropist, Paul Newman. What it does: Raise money to take seriously ill or disabled children to Orlando, Florida. Candis Big Give Project: To send 20 children on an all-expenses-paid ten-day trip. 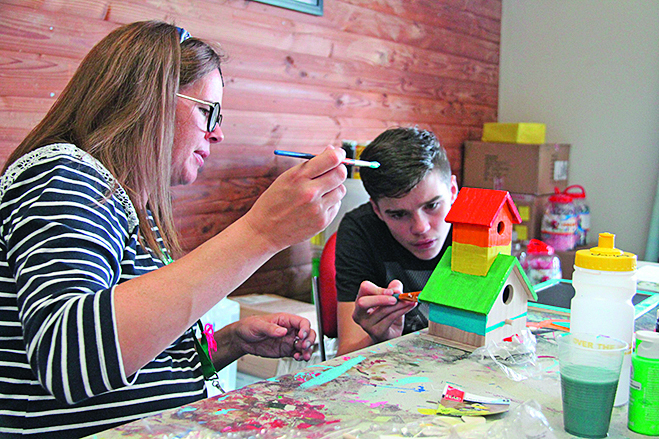 What it does: Offer support and respite holidays to seriously ill children and their families. 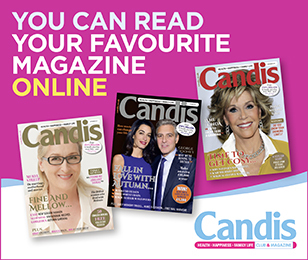 Candis Big Give Project: To provide families of seriously ill children with outreach support in the community, hospital, home and at its new Family Outreach and Respite Centre. What it does: Provide respite care to children with life-limiting conditions both in their homes and at the hospice. Candis Big Give Project: Money raised will pay for two specialist members of the play team as well as toys and sensory equipment. What it does: Support families with children with Rett syndrome, a sever genetic neurological disorder. Candis Big Give Project: To recruit, train and employ six regional Communications Champions who will support parents and carers of children with Rett syndrome. What it does: Offers specialist help to transform the lives of young people who stammer and their families. Candis Big Give Project: To provide over 600 phone calls by speech and language therapists to young people with stammers, as well as offering guidance and support.